A student at the University of California San Diego has been contacted to report to its Office for the Prevention of Harassment & Discrimination after hanging pro-Kate Steinle posters across the campus. 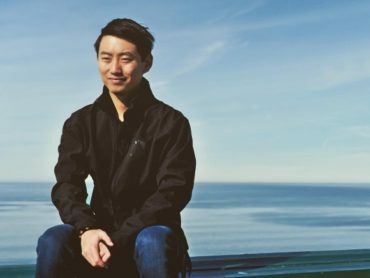 On the evening of Dec. 7, Gregory Lu hung 150 posters of Steinle’s smiling face with the words “She had dreams too” in highly traversed areas across campus that other students typically hang items on, such as bulletin boards and the free speech area. Four days later, an investigator with the Office for the Prevention of Harassment & Discrimination emailed Lu asking to meet with him. 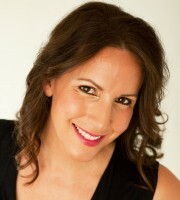 “Our office received an online incident report and I would like to schedule a time to speak with you about it. Are you free this week by phone or in person,” the investigator asked in his email, a copy of which was obtained by The College Fix. Lu (pictured) said he replied seeking more information about the meeting, which has yet to take place, and has been in contact with an attorney. Lu added he feels certain the bias complaint stems from the Steinle posters, noting as he put them up a couple students followed him around and watched his every move. The day after Lu hung the posters, all of them had been taken down, he added. UC San Diego’s spokesman and the investigator from the bias office did not respond to College Fix requests for comment Monday and Tuesday. Lu, in a telephone interview with The College Fix, said he feels being contacted by a bias investigator is a way in which campus leaders can try to clamp down on his free speech rights. “This is definitely an intimidation attempt in trying to get students to make sure they never do this again,” said Lu, who put up the vast majority of the posters but did have help from two peers toward the end of his effort. While Lu is a member of the College Republicans, he said the poster effort was not done on that group’s behalf. Instead, it was the project of a newly formed Right Wing West. Right Wing West does include students who are members of College Republican chapters, but a representative of the budding organization told The College Fix that its members want to remain unnamed because they are concerned they will be targeted by progressive peers or overzealous administrators. Lu’s case may be a perfect example of that. 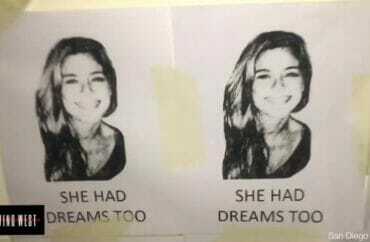 As for the Steinle posters, it was the group’s first foray into activism, and according to a video posted on its Facebook page its members hung the same “She had dreams too” images on campuses across the West Coast, and they were “ripped down” at: University of Washington, UC Berkeley, UC Riverside, UC San Diego, UCLA, Cal Poly San Luis Obispo, Eastern Washington University, Washington State and San Diego State. The video includes a snippet of two women taking down the posters at the University of Washington, calling the images “racist” because of the wording. A student at San Diego State confirmed to The College Fix that the Steinle posters were taken down there. 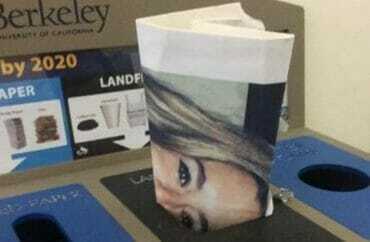 Berkeley students also posted photos showing that a large Steinle poster they had left up in memoriam had been ripped up and thrown away by unknown assailants. Lu said he was glad to take part in the operation.